Not sure if this was posted already, but here it is. 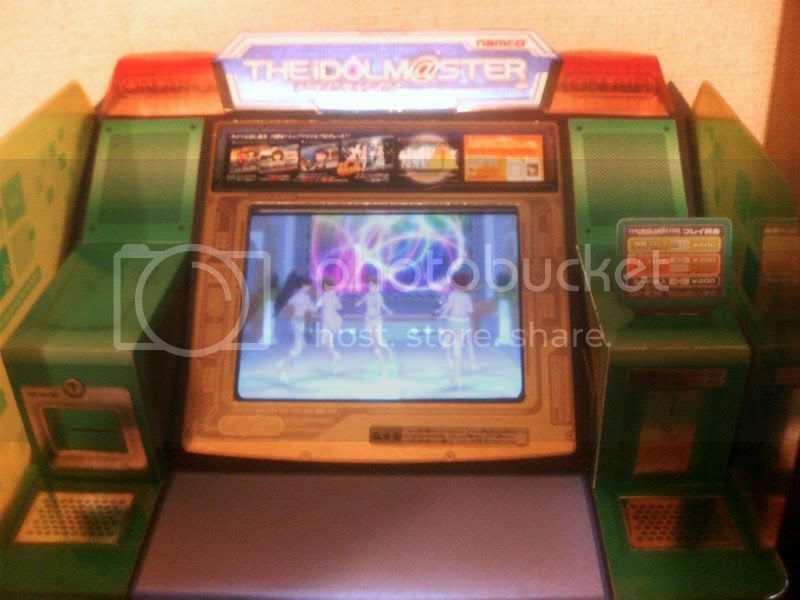 After 5 years of continued service, the original Arcade Idolmaster will be ending all online services at the start of September. 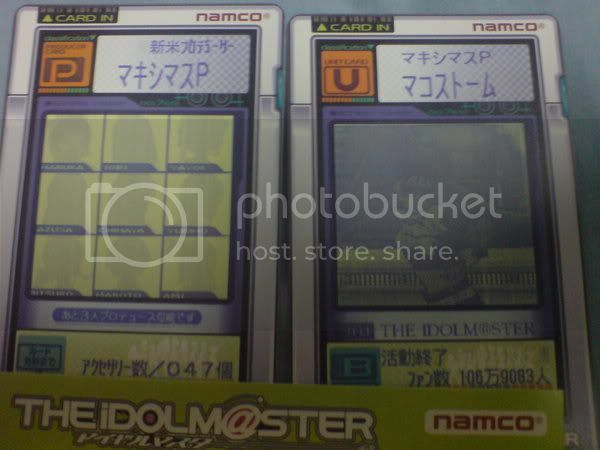 While all operating Im@s machines will still be operational in offline mode, all online mode activities + mobile phone services will come to an end. Well it not entirely bad. Its not like their taking the games out of the Arcades. This must mean something big is coming. Or their hurting real bad. Besides, it's not completely dead. Just some additional features got the cut. 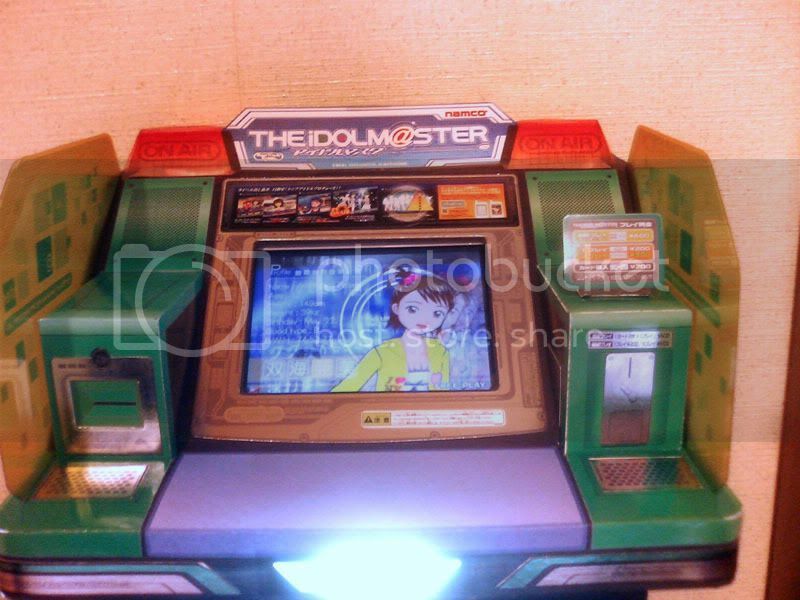 Though the truth is, there are only 12 stores in the Kanto region still running Im@s Arcade. Although I need to admit, the Nakano Plabo Im@s community is still alive and well... this is the only place I know with a dedicated area for Im@s, complete with comics, oekaki notes (with doodles by fairly famous doujin artists) and a towel autographed by Mingos. 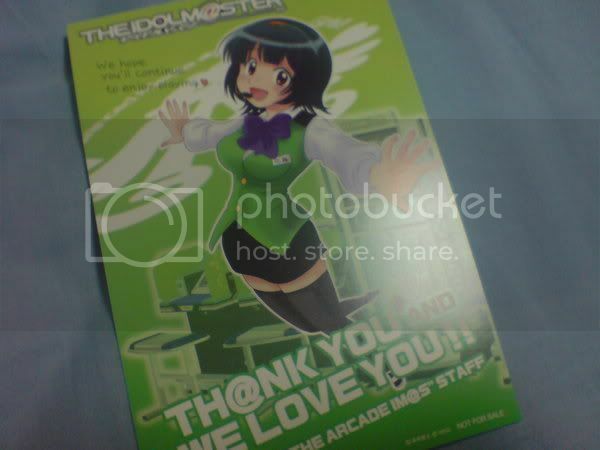 Plabo Nakano is doing a campaign to say goodbye to Arcade iM@S, and it's officially supported! And here are my cards for the unit I finished producing today. Nearly cried at the arcade lol. Aah, that's pretty cool and pretty sad at the same time. Glad I got my cards a while ago when I was there, even if I didn't even finish the game. edit: I might try and translate the instructions if you want to construct it and can't figure it out. I would of felt really sad too. I think all the assembly manuals look understandable. Anyways, it looks fun, thanks! That's brilliant! can you explain some of what you did? 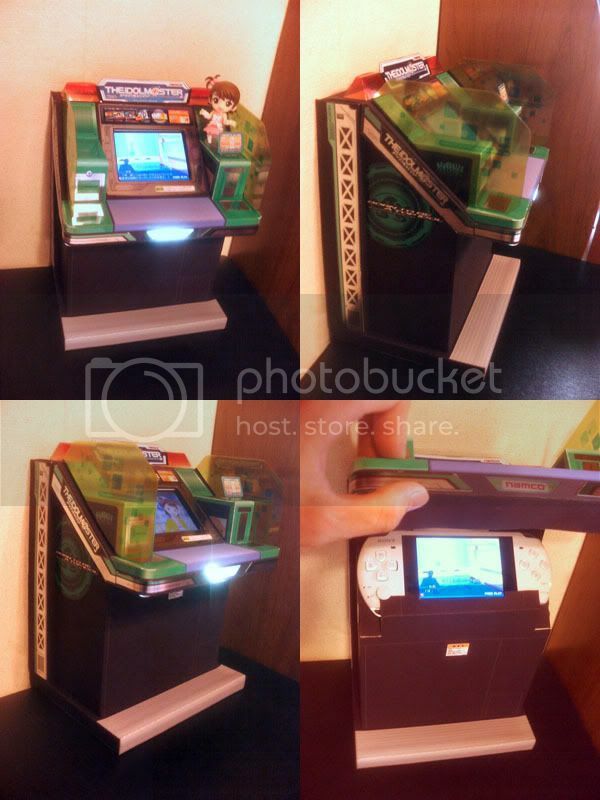 like the side panels and fitting your psp inside? are there other parts that don't seem to be paper? But according to the maker, he changed the scale of the model to 1/5. He used matte paper to structure the base frame, glossy paper for the green part, OHP Flims for the side panal. That is too awesome XD Never doubt the creativity of fans I wish I had thought of that myself. Except... you can't play it unless you lift up the panel!!! ... But yeah, that's pretty cool.